The town was founded by the Portuguese, in 1549, to be the first capital of Brazil. The region is a natural port and the town flourished as the most important political and economic center of the country. At that time, it was also a favorite haunt for pirates and merchant privateers. It started as a settlement before 1510, one of the oldest in America, with Europeans. 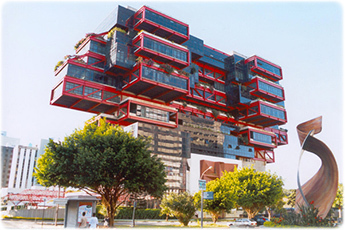 Casa do Comércio building. 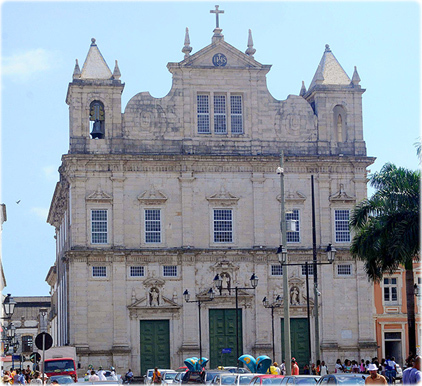 The historic city of Salvador has a great number of modern buildings that share spaces with colonial houses. The Cathedral of Salvador (16th century). 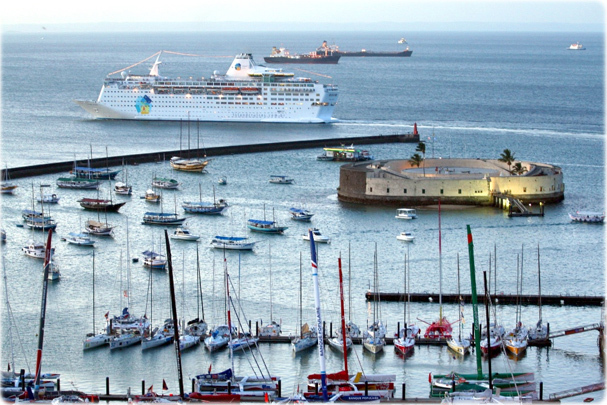 Cruises in Salvador Bahia and the historic Fort of the Sea. 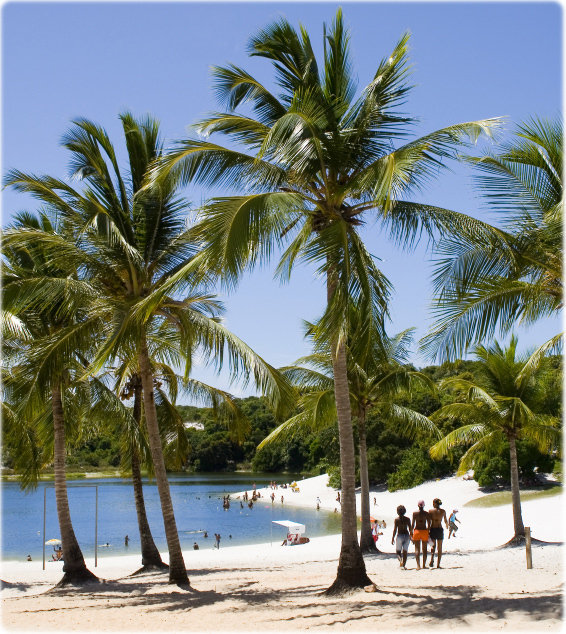 Its beaches, its music and its historical heritage makes this city one of the main Brazilian destination. The Pelourinho by Walt Disney, in the Historic Center. 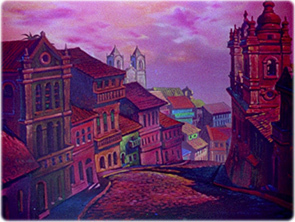 Disney sent Donald to Bahia in 1944, in the movie The Three Caballeros. 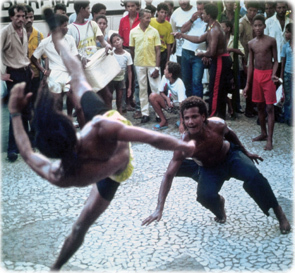 Capoeiristas show the Bahian martial art in the streets of Salvador, a common scene in the city. Capoeira was created in Bahia, about the 18th century. Copyright © Geographic Guide - Brazil Tourism.